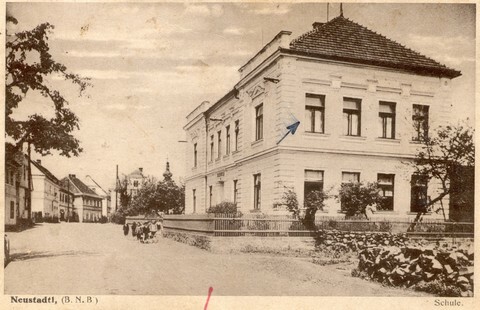 House no. 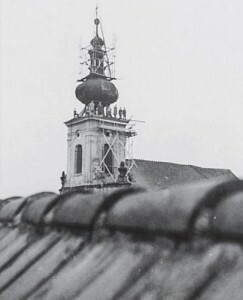 7 on a photography from 1941. 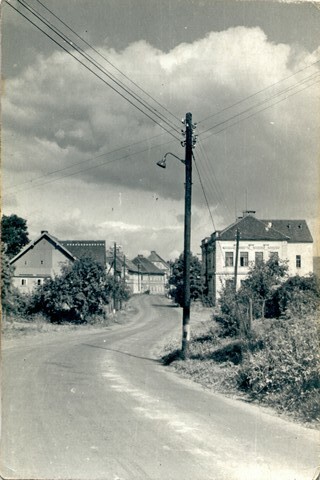 At the time the family of Josef Wöhle lived here. 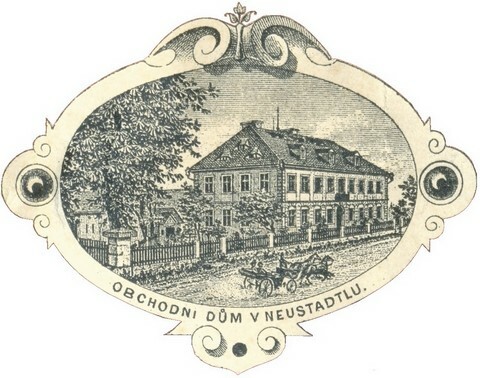 Brass decoration from a horse harness. 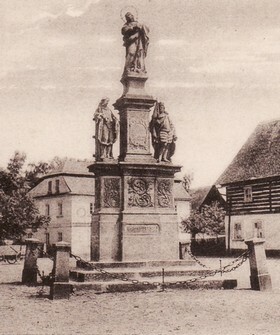 The decoration was found on a field near Jezve. 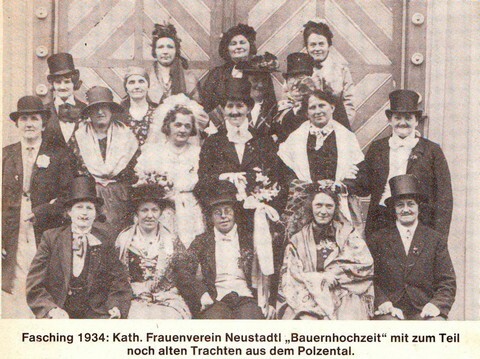 Carnival 1934: Catholic women’s club. 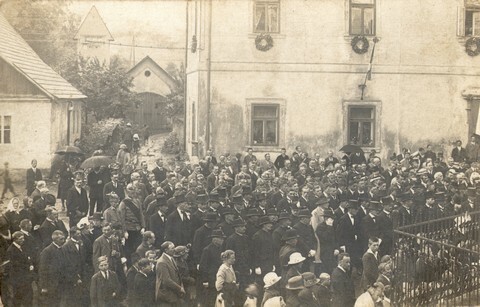 “Peasant Wedding” with some traditional clothing from the Polzental region. 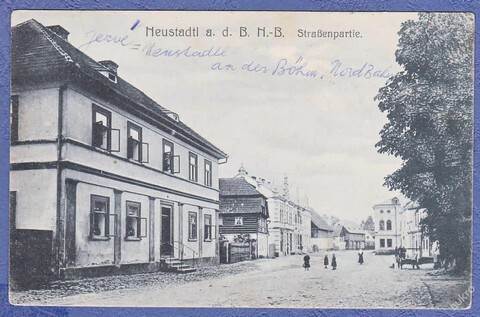 Jezve no. 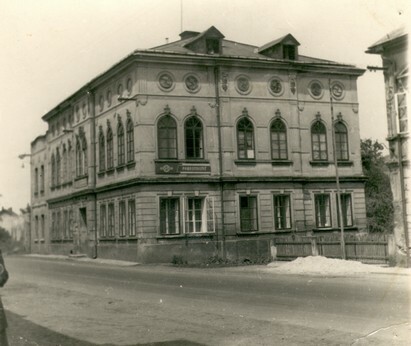 97 Cottage street about the year 1930. 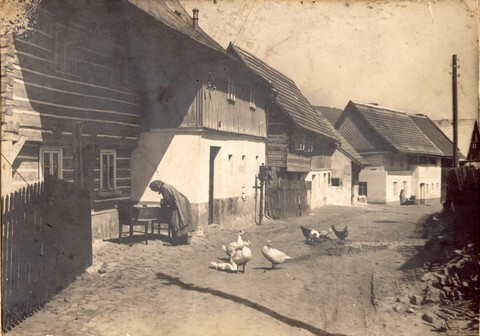 On the picture there’s Karolina Ducke doing the laundry. 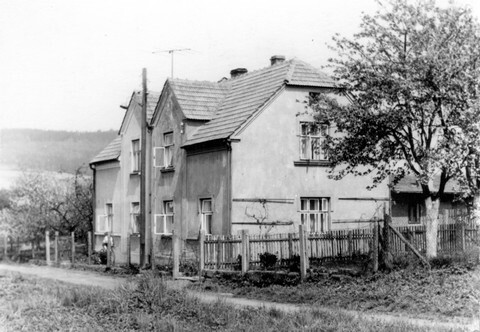 The Dubsky family moved into this house in 1946. 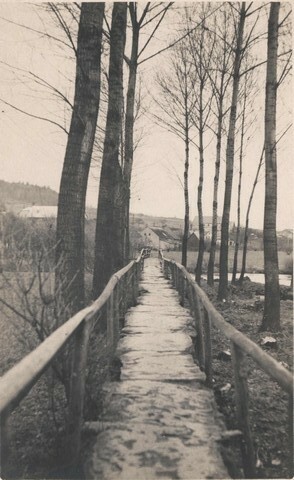 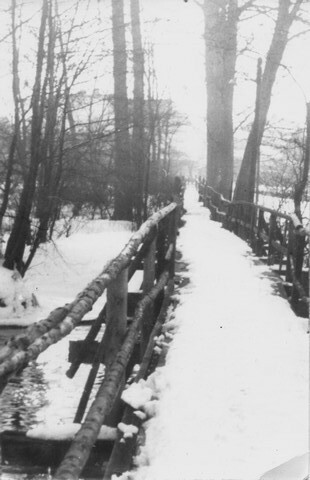 The stony footbridge which ran around the mill. 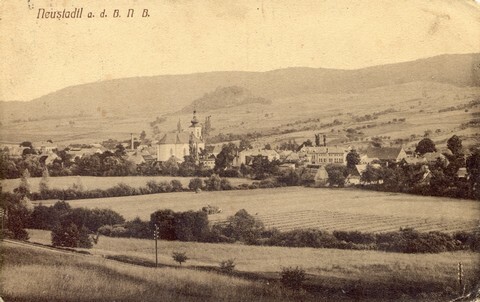 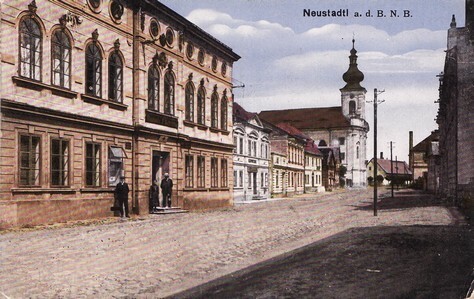 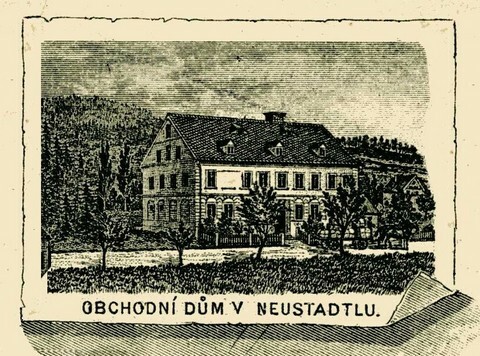 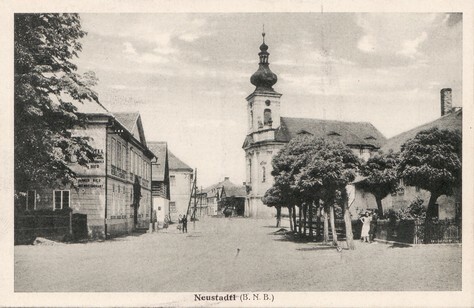 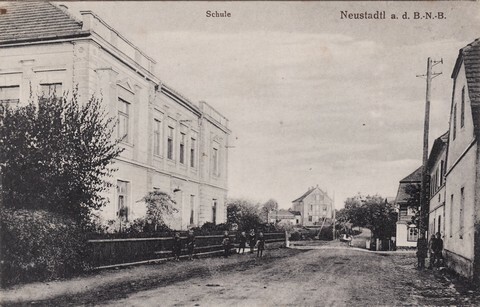 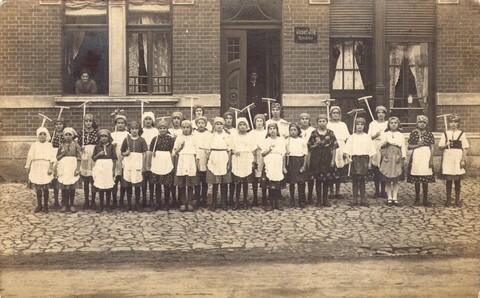 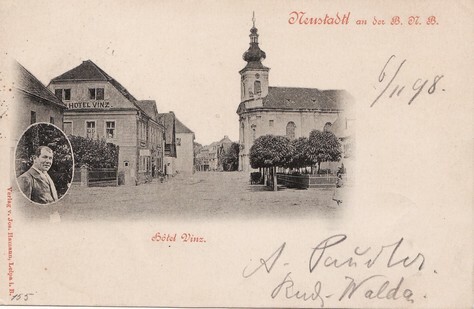 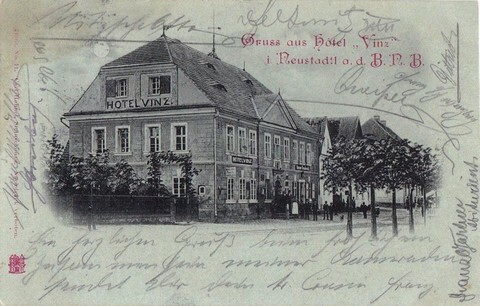 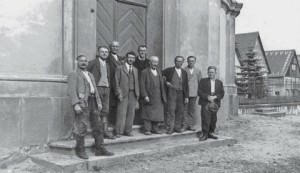 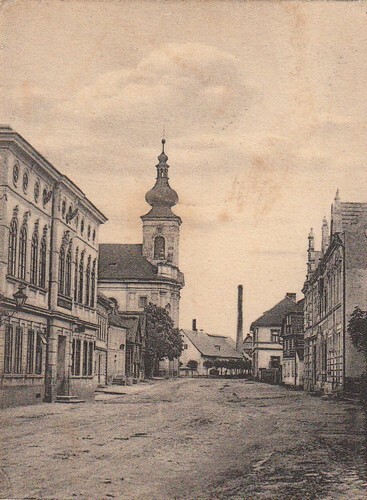 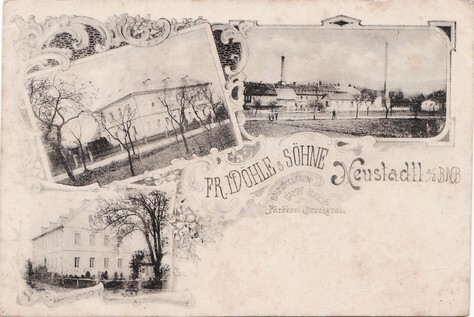 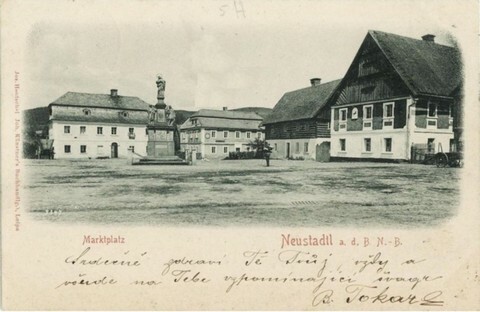 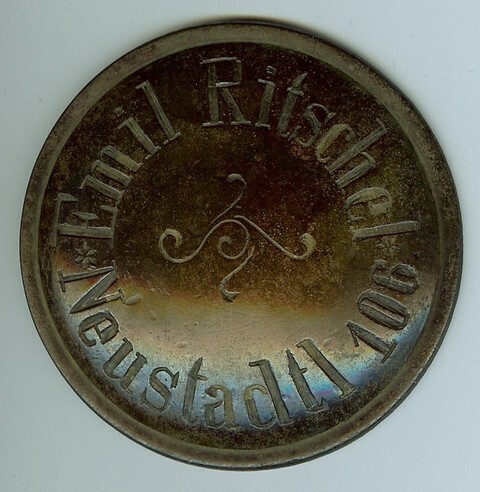 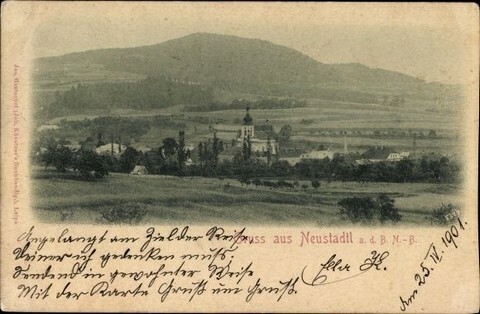 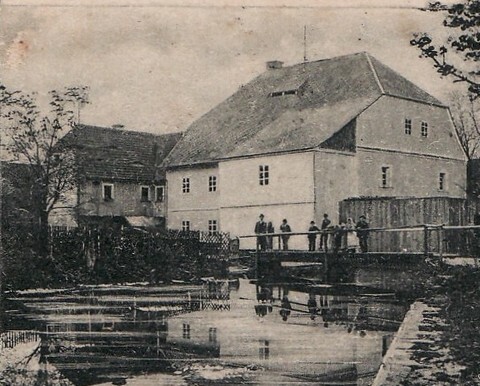 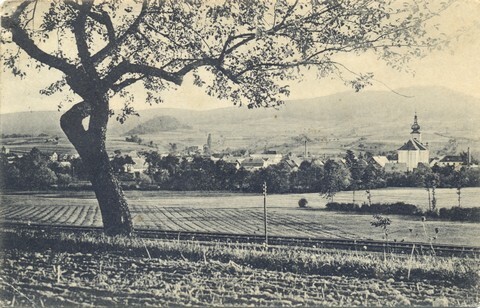 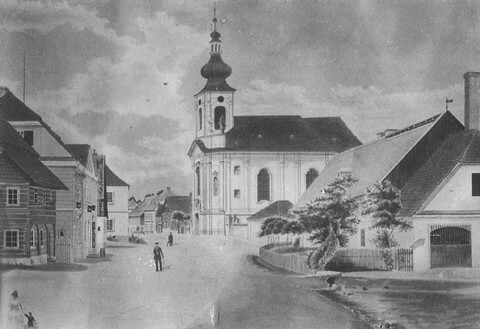 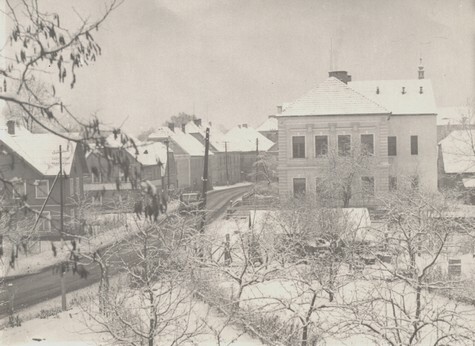 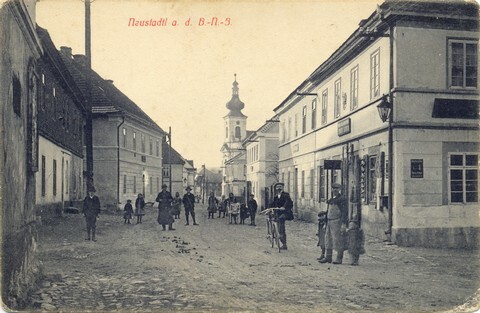 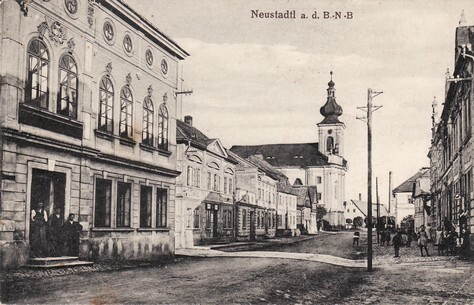 Neustadtl before 1907. 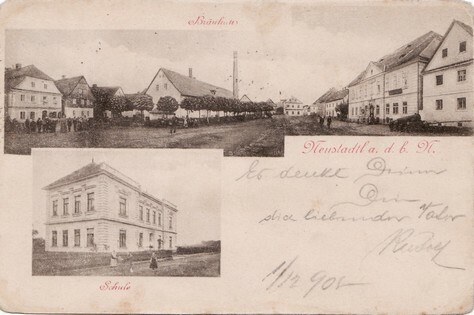 On the right there is the cake shop of Mr. Josef Ille. 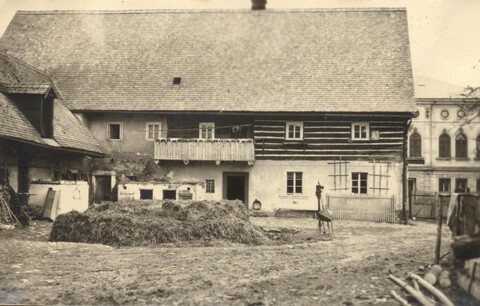 Behind the shop there are a log house and the parish office. 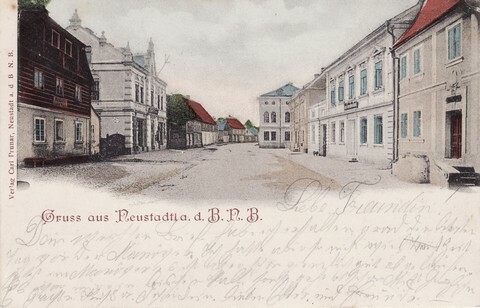 On the left there is the post office. 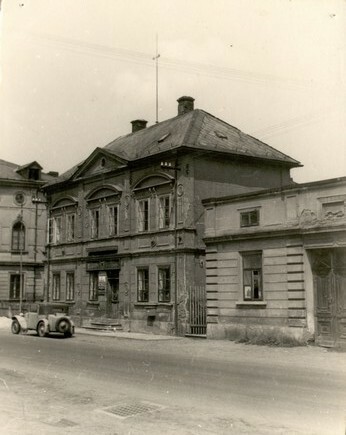 Behind the post office there is the house of the postmaster Mr. Karl Schreiber. 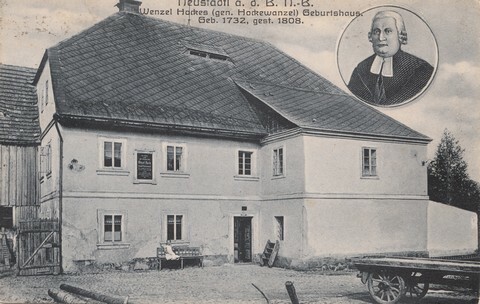 The next three houses are house no. 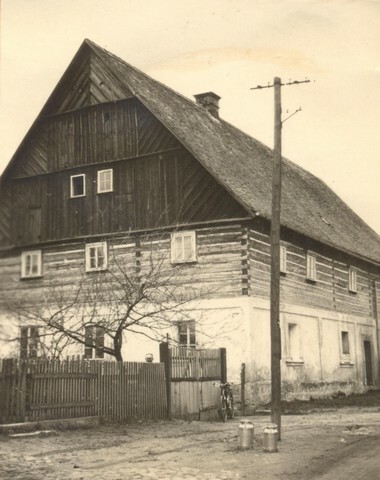 40 (where the doctor resided) and two log houses (both were demolished). 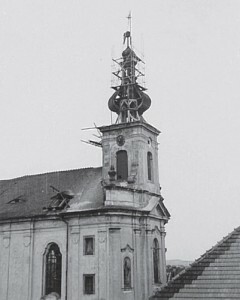 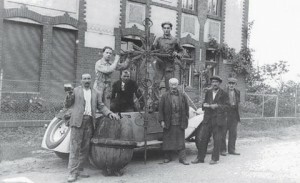 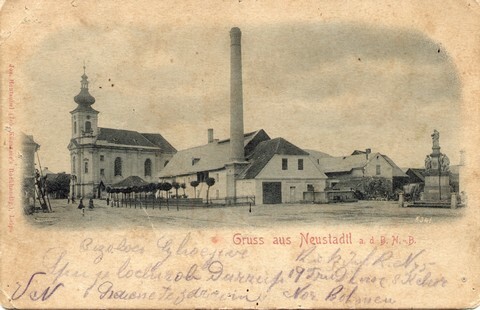 In the middle there are two dominant features of Neustadtl – the St. Lawrence church and Mr. W. Nosakowitz’s brewery.